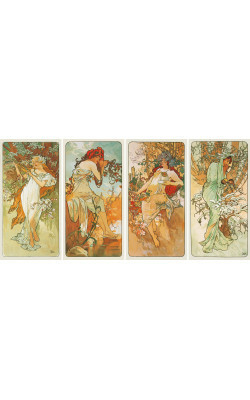 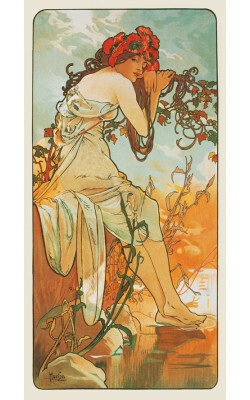 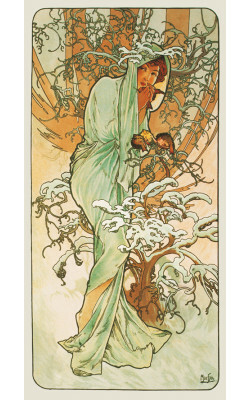 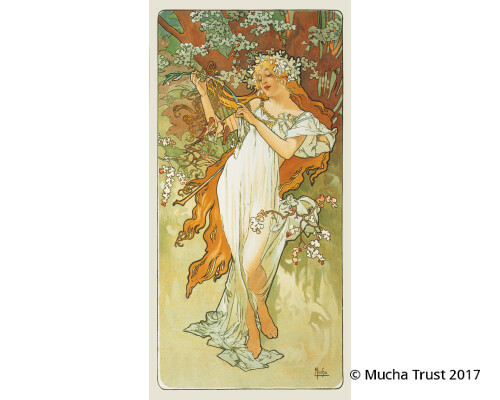 Mucha personifies Spring as a fair-haired figure in a translucent white dress standing under a blossoming tree. 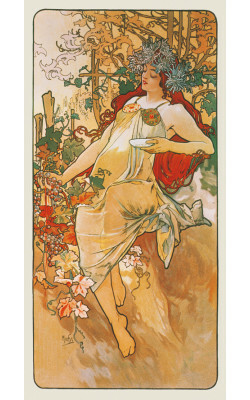 The blossom is echoed in the white flowers in her hair. 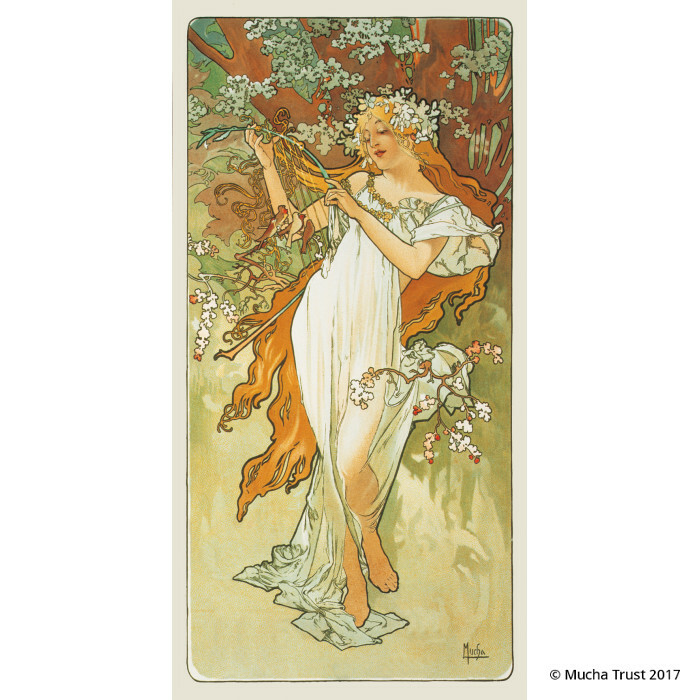 She holds a lyre fashioned from a branch on which three small birds sit.